We’ve been captivated by Sunny, the gripping new novel from Paul Murdoch. So have his school and library audiences. It’s kicking up a storm of enthusiastic supporters. Sunny is like a cross between Frank Cottrell Boyce’s novel/Danny Boyle’s film Millions and Theresa Breslin’s exploration of sectarianism Divided City. It’s a page-turning thriller with a mystery at its heart. It also explores pertinent issues along the way. Young Sunny (his unwelcome nickname comes from the ease with which he tans) is the sole survivor of what appears to have been a tragic accident. But he soon suspects that his survival was itself an accident. Once out of hospital, and having seemingly escaped an abduction attempt, Sunny returns to school, only to find himself implicated in a sectarian incident that has devastating consequences. Sunny’s friend John has a plan for getting to the bottom of the mystery behind Sunny’s survival. It seems worth a crack. But a plan is one thing; staying out of the clutches of determined criminals is quite another. One of this novel’s attractions for schools and libraries is that it is set a little before the current crop of pupils were born. That’s useful: considering it initially as an examination of what happened in the past allows readers of all ages to be critical of the attitudes of the time. However, an awkward question then rears its head: have things really changed? Are racial and religious intolerances merely presenting in different ways? There’s something life-affirming about this novel, with the jeopardy balanced out by the adventuring and humorous banter. 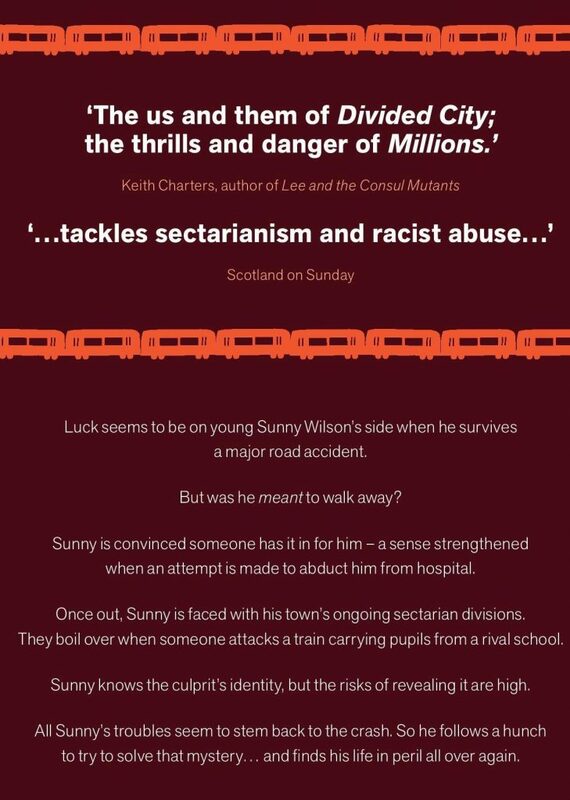 Sunny is available from all good booksellers or online. Paul Murdoch is a regular presenter in schools and can be contacted via his website – the contact email address will show up if you hover over the Visit Enquiry box on this page. Click on the attached Advanced Information sheet for more details.